A brief timeline of moments that marked BODYMIND INTEGRATION and ICPIT. The origin of “bodymind-deep bodywork” is linked intrinsically with the life and legacy of Jack W. Painter, PhD (1933-2010), who originally, over a period of three decades, developed three distinct branches of what he came to collectively call ‘Bodymind Integration’ – which included in the first place the method he named Postural Integration and then some years later, the second method called Energetic Integration and finally Pelvic-Heart Integration. It was actually the course of Jack’s early life and his own personal experience of discomfort and pain that led him on a path of discovery and to the creation of these three unique methods of body psychotherapy and deep bodywork. In the early sixties, as professor of philosophy and psychology at the University of Miami, his body was causing him difficulties and discomfort and interfering with his career. He first sought relief through swimming, tennis, basketball and weight-lifting, then explored Yoga, breath work, traditional Chinese medicine and acupuncture. He also got involved in a whole range of other new activities, workshops and sessions which were part of the blossoming New Age Growth movement which had begun in California. His extensive explorations included Eastern practices, Gestalt, Reichian work, Rolfing, Alexander, Feldenkrais, and Movement work. Jack received an extensive program of individual sessions from some of the prominent figures of the growth movement, among them Fritz Pearls (Gestalt School) and his wife Marty Fromm and from Ida Rolf’s trainer Bill Williams (who later founded ‘Soma Technique’). What he found was that these approaches achieved many singular changes, both to his physical body and to his mind and emotions. However, he felt increasingly dissatisfied with the fact that his emotions, body and thoughts were not being dealt with all at the same time, which led, he felt, to splitting his body from his mind, rather than having them being treated as a unity, as one “bodymind”. He held the view that body and mind are inseparable and do not stand in a causal relationship with “each other” since they are dimensions of the same phenomenon. Therefore work with the body, including deep myofascial work with deep breathing, is also simultaneous work with awareness and consciousness. 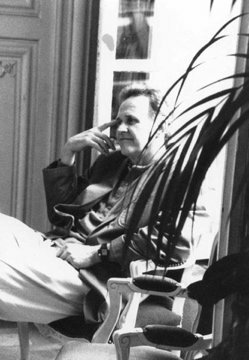 Much in the spirit of the then ‘new age’, Jack explored, received sessions, gave session with friends and colleagues, studied, learned and taught all at the same time: Gestalt, Rolfing, Reichian work – he studied and collaborated with Rafael Estrada Villa in Mexico (Reichian Therapy) – whom he held in particularly high regard. He shared colleague work with Dr. Peter Levine, author of “Waking the Tiger” and a well-known Reichian. Then, in his own search for personal clarity, Jack Painter found the need to bring all of these traditions together into a unified system. He developed his own concept of a new “holistic bodymind and body-anchored approach”, in contrast to the ‘Cartesian theory’, integrating and working simultaneously with the physical, energetic and cognitive as well as the emotional processes in the bodymind. Along with this, through constant experimentation he recounts how he also found his own individual ways of touching the body. Jack Painter eventually called his new system of bodywork ‘Postural Integration’, writing that ” Postural Integration is not only a specific process that I have developed, it is a unique, holistic synthesis – it is a singular approach to the whole being – not just a collection of methods of breathing, deep bodywork, Gestalt, Reichian work and movement awareness. All these aspects are facets of a central view of the individual as an energetic élan exhibiting physical, emotional, and cognitive dimensions which are all part of an energetic wave.” Its ultimate goal is to achieve personal change and transformation. He distanced himself from classifying his method as “therapy” in the clinical sense or “psychotherapy”, stating it was bodymind or mindbody work. He also developed a further approach in the eighties which he called “Energetic Integration”. Both of these methods constituted two branches of what Jack termed “Bodymind Integration”. They make use of the same central methods and concepts with variations only in the areas of focus (Postural Integration focusing on the softening and organization of planes of fascia and Energetic Integration focusing on the blockages in the energetic wave and energy flow as manifest in bands of ‘armor’, where bodymind energy is in tension and conflict with itself). “Pelvic-Heart Integration,” a deepening program of the two previous inventions, focuses on various dimensions of sexuality and love. It aims at connecting and uniting the masculine and feminine aspects of the person. It uses processes and maps which are culturally familiar and expected in the modern Western world. At a theoretical level, Jack presented the strategies of his work in short clear sentences, or sketches on a flip-chart. Although he allowed future practitioners the freedom to develop their own style of working, he was insistent that certain principles needed to be adhered to. He emphasized for example, that the anatomical details in the technical manual need not be central to a session, it was far more important for a session to be comprised of four specific principles he called the “Four Pillars of P. I.”, namely 1) energetic work, including breath work, 2) deep tissue work, 3) emotional work and 4) integration, including fine energy. To these came the key factor of a connecting link between the four pillars, – the client-practitioner relationship. Jack W. Painter, professor of philosophy at the University of Miami becomes interested in the Human Potential Movement and becomes one of the creative figures in this movement.